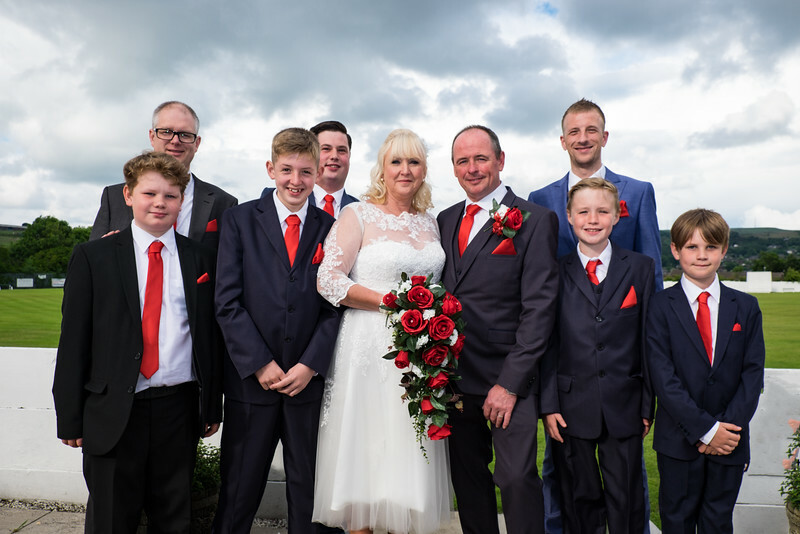 Congratulations to Linda and Andrew who decided to run away to Gretna Green and do the romantic thing and get married secretly over the border. 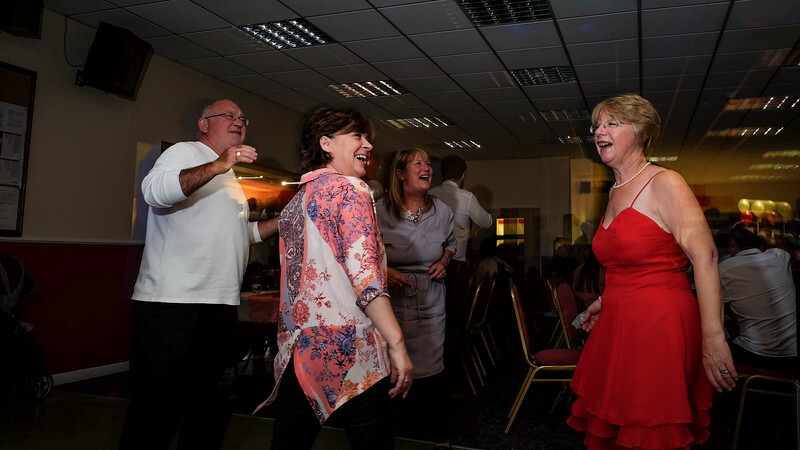 As soon as they got back they held a wedding reception for family and friends to celebrate . 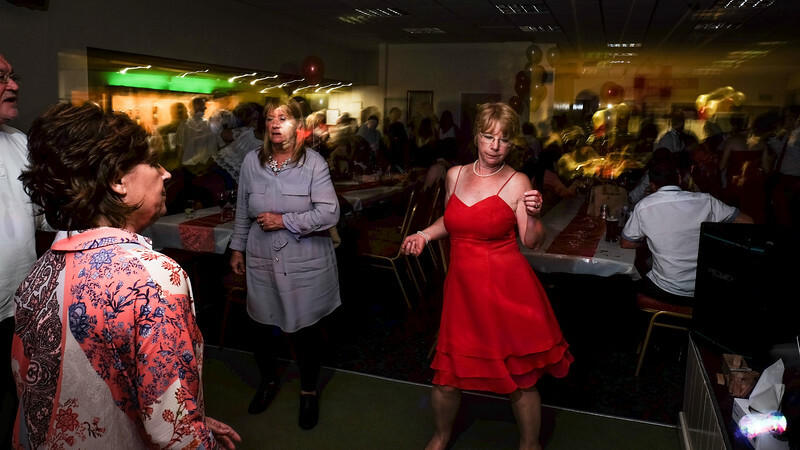 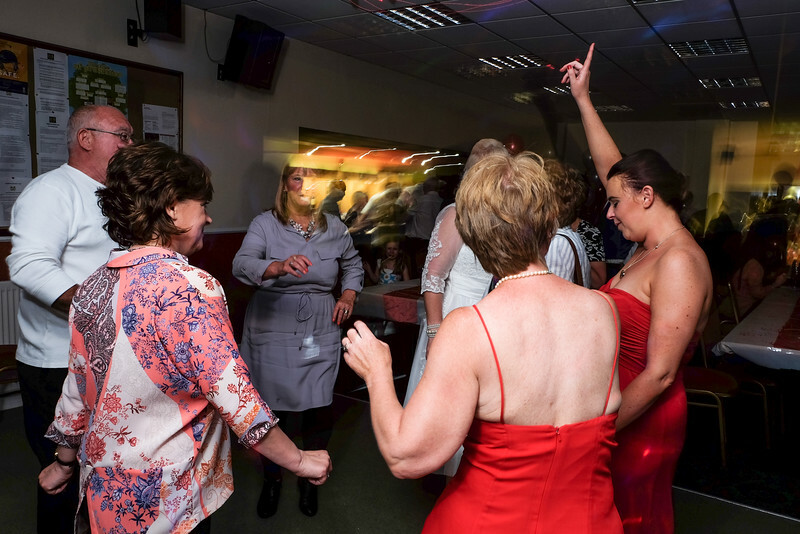 They partied the night away with a singer entertainer and DJ in to the small hours at Crompton Cricket Club. 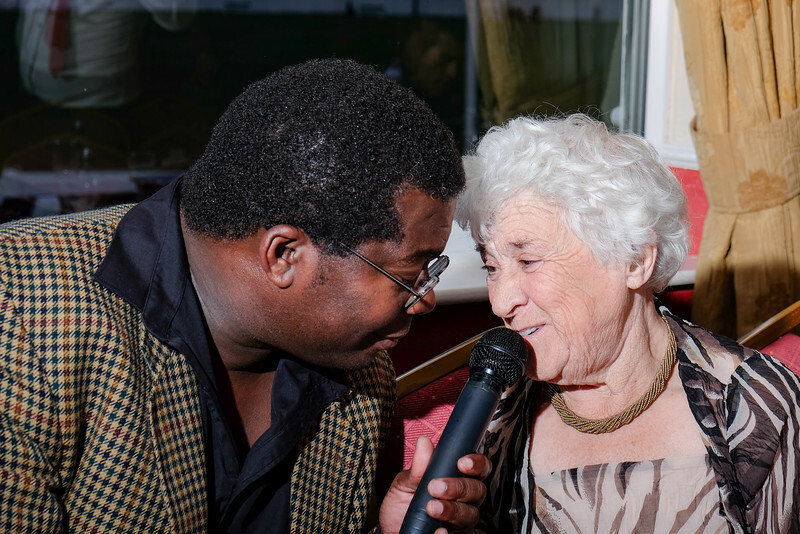 All the best guys and many thanks for choosing me to record your evening. 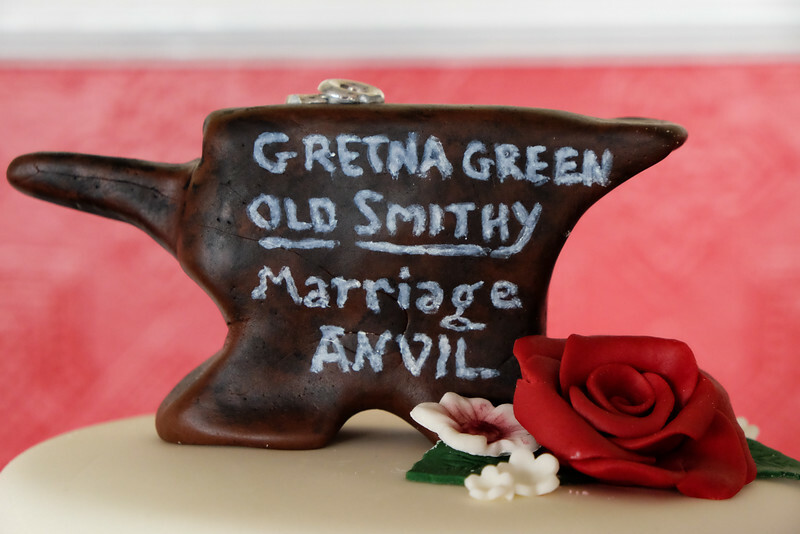 Gretna Green sign on Wedding Cake. 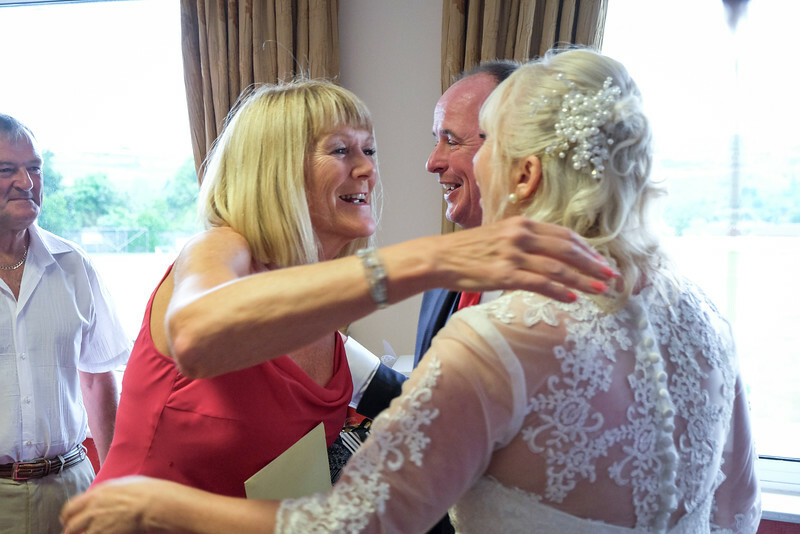 Bride and Groom kissing with family and friends looking on. 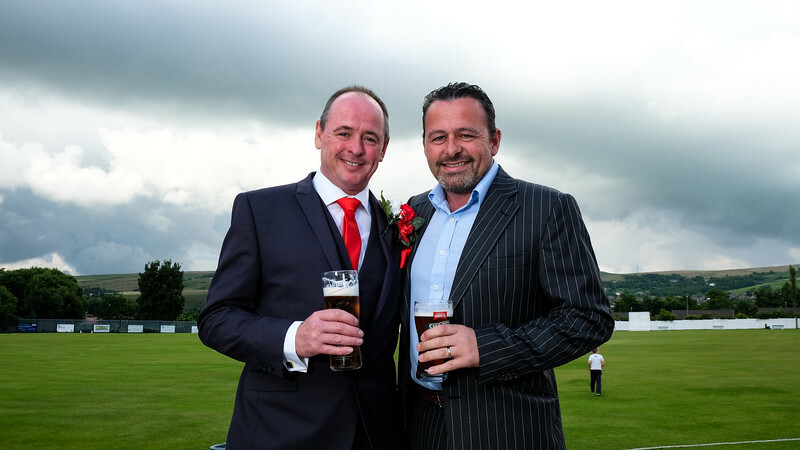 Family Wedding photo at Crompton Cricket Club. 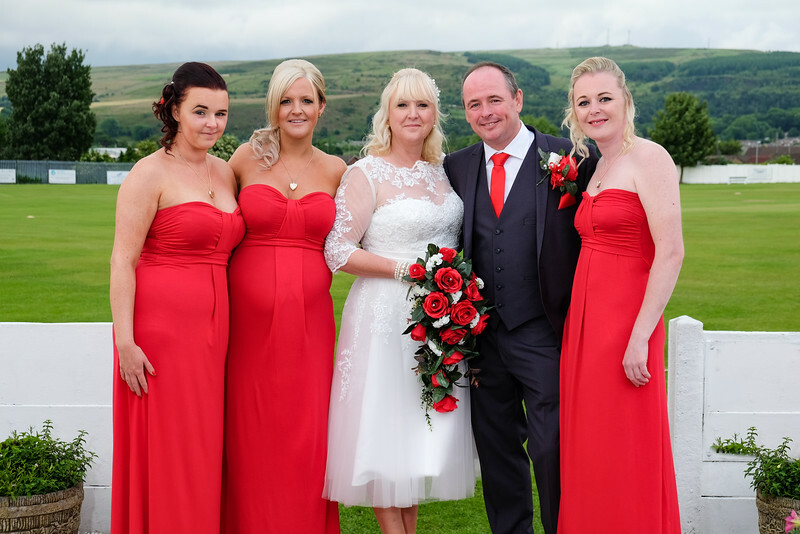 Bride and Groom with Bridesmaids posing in front of cricket ground at Crompton Cricket Club. 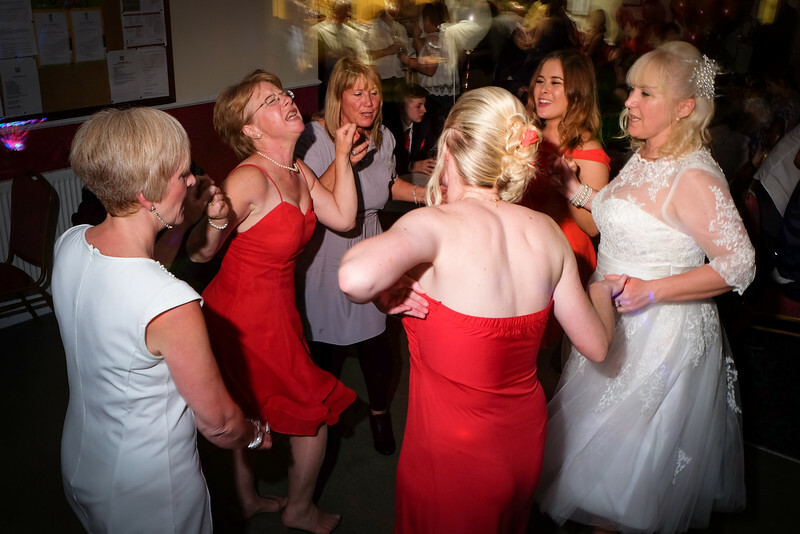 Photography by Oldham wedding photographer Sam Ralph Photography. 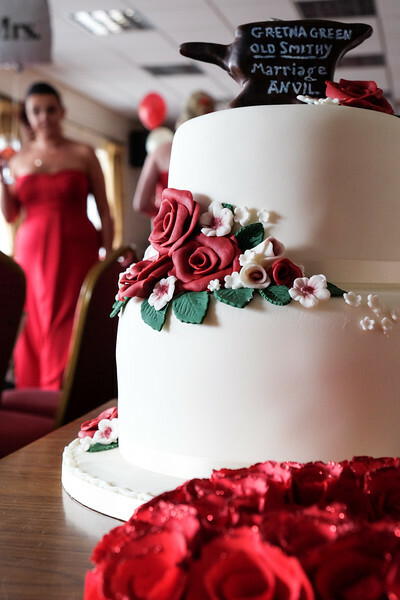 White wedding cake with red roses. 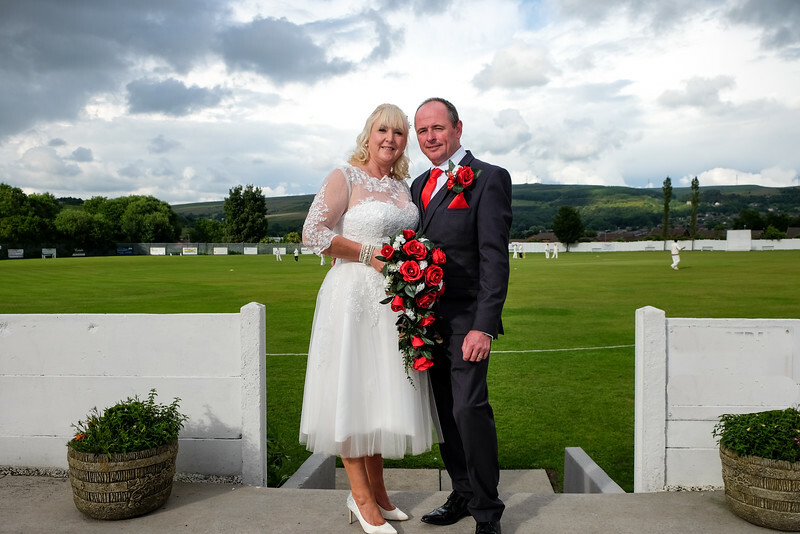 Bridesmaid posing with her partner in front of Crompton Cricket field in Oldham. 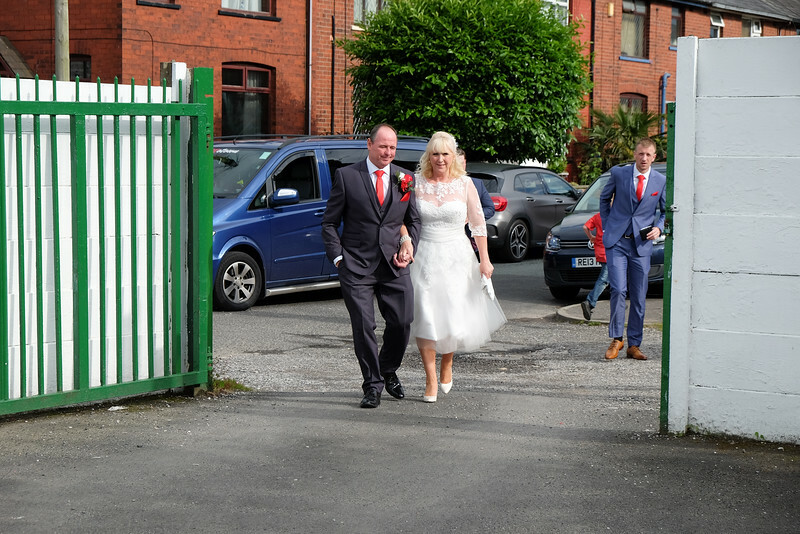 Photography by Oldham wedding photographer Sam Ralph Photography. 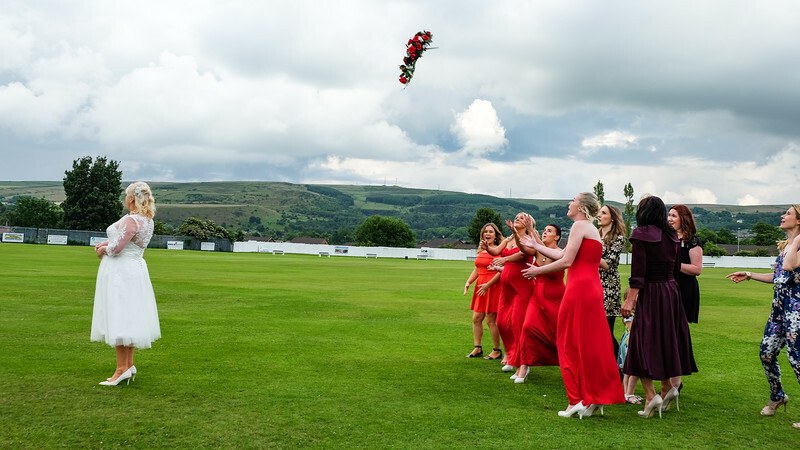 Bride throwing wedding bouquet on cricket ground to bridesmaids and guests. 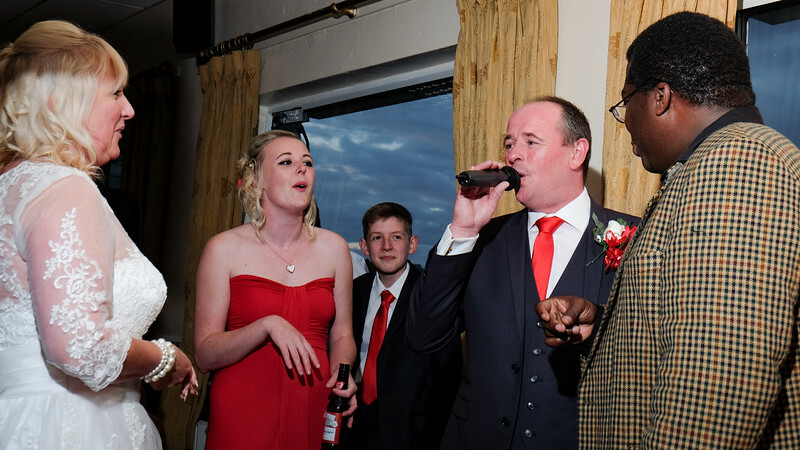 Groom serenades Bride at wedding reception. 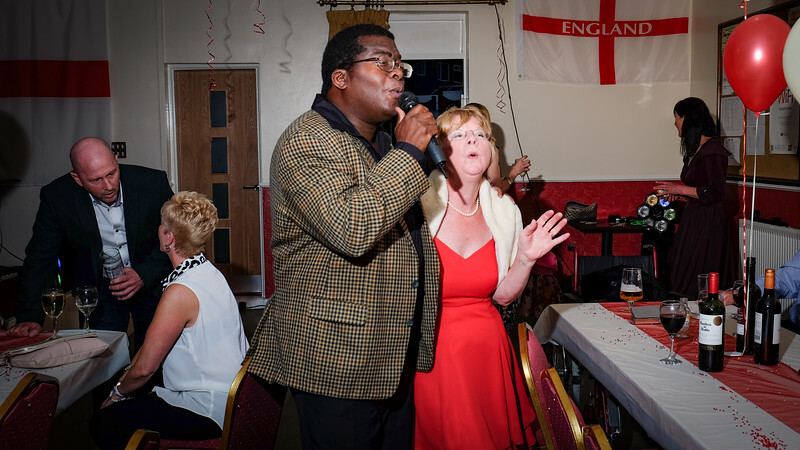 Singer serenades guest at wedding reception. 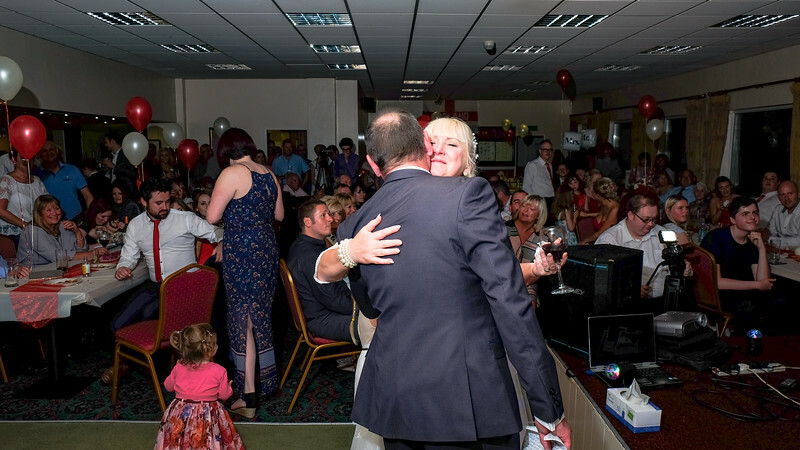 Wedding reception embrace with bride and groom . 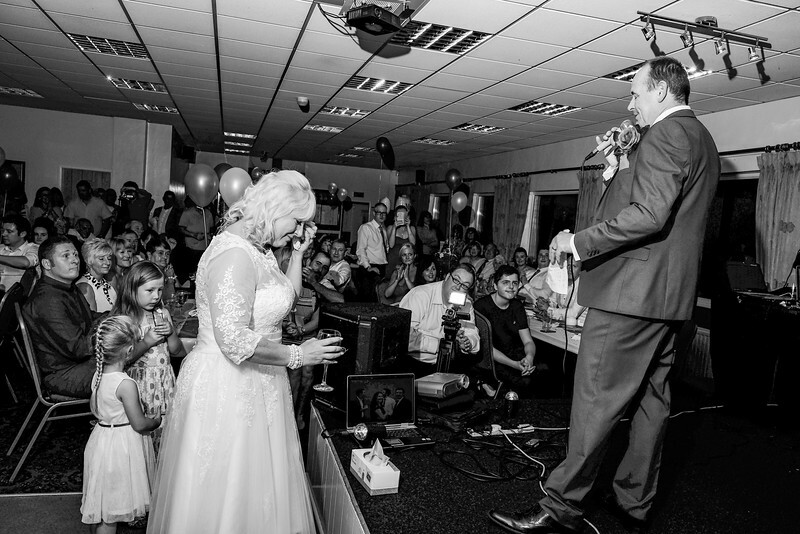 Bride cries as Groom gives wedding speech. 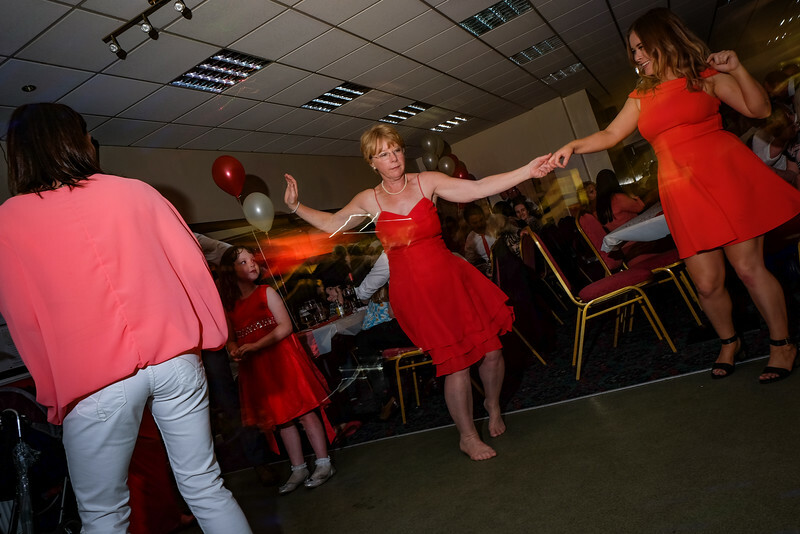 Bridesmaids dancing at wedding reception.